It's hard to get relevant information sometimes on ostomy supplies. There are many types of surgeries that make each person have different medical product needs. Sometimes the answer can be found online or with your health care professional while other times, you need to keep looking to solve your issue. 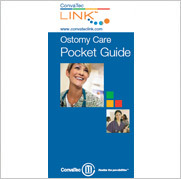 In the situation of getting information on ConvaTec Ostomy Products and new products offered as well as how they relate to specific patient needs, the ConvaTec Ostomy Care Pocket Guide is a great starting place! Learn about ostomy accessories, SUR-FIT Natura, Moldable Technology, Esteem synergy, ActiveLife, Visi-Flow and more! Also, get tips on ostomy basics, how to manage peristomal skin issues, and instructions on how to select a product. ConvaTec makes a big effort to assist its customers in learning more about ostomies and thier ostomy supplies. You can also call the knowledgeable staff at Parthenon 1-800-453-8898 for assistance. 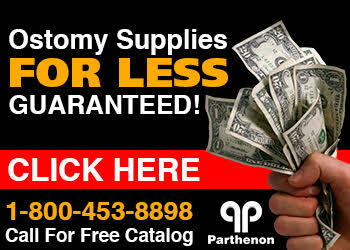 Parthenon has served the ostomy community for over 50 years providing valuable tips, superior customer service, and the lowest prices on ostomy supplies nationwide. Call us or go online today!